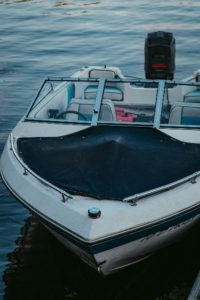 Many boater safety tips seem like common sense, but you would be surprised how often they are ignored, or the purpose is misunderstood. The following are 8 basics. Wearing a life jacket is a well-known rule. Any water activity requires it. Accidents happen quickly, and there is no time to grab one if you need it. It must be US Coast Guard approved, fit properly, and be designed for your specific activity. The wrong size can cause further problems. Know your state boating rules and regulations. They vary from state to state, and you will receive tickets, fines or jail time whether you are unaware or willfully violating the laws. Learn valuable tips at an approved boating safety course. They may save your life in unexpected situations. You can save money on your boat insurance policy premium. Some classes are online to save you time. Prepare your boat. Many features on your boat need to be checked and rechecked before heading out on the water. You can schedule safety checks with your local U.S. Coast Guard Auxiliary or U.S. Power Squadrons free of charge. Be aware of your boat’s capacity. Too many people, equipment or other items may become cause your boat to be unstable and capsize. Check the weather and water temperature. Know weather forecast before leaving the dock, and keep an eye out for changing conditions. Dress for the weather. Wear layers when the day starts out cooler, and have extra clothes in case they get wet. Learn about float plans. Having a float plan means telling someone you trust the details about your trip and listing emergency contacts. Find out more at floatplancentral.org. If you’ve recently purchased a boat or are thinking about it, know your basic safety tips. See more boating safety tips in Part 2 of this article.